Yet another post from me today, you can tell I haven't had to work this week can't you? Some of you may have this paper, but I have loved it for ages and not wanted to use it. 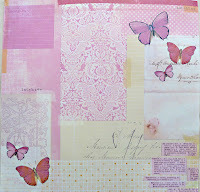 I just love the design, mixing different media, it really attracts me. 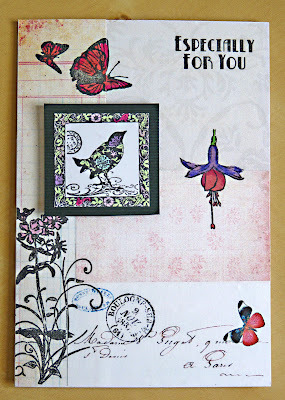 I also came across a post by Betsy Veldman at Moxie fab World where Betsy talks about a new trend of botanical collage. The materials she shows and two cards she made inspired me to experiment and I came up with these. 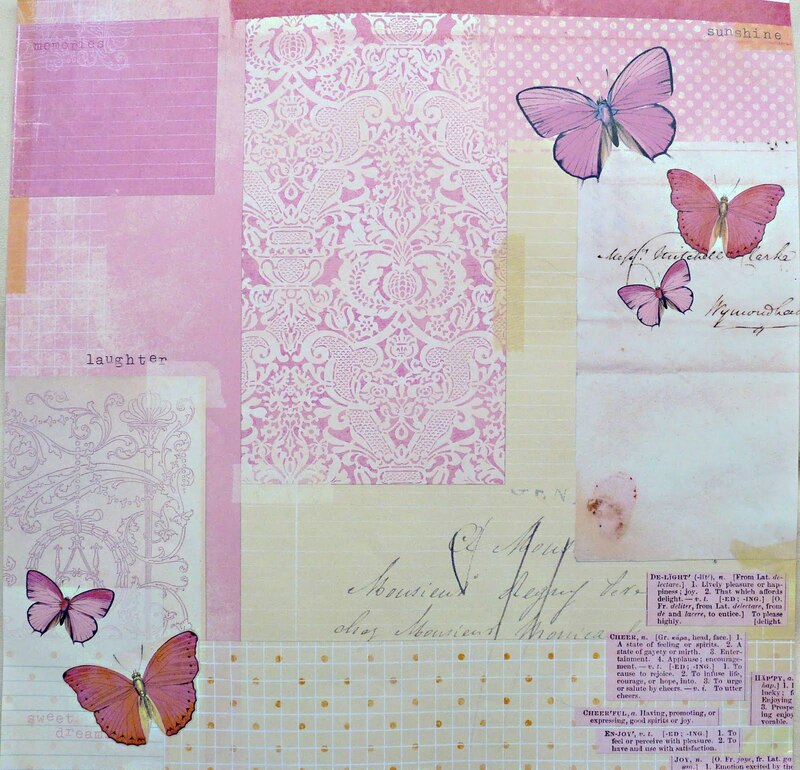 I really like them, I know I still have a long way to go, but I enjoy playing in photoshop and mixing images together, which is what I have done with the papers and butterflies (and these are all freebies I have downloaded from the net by the way). I have then pieced papers together and overlapped them , printed over the top, coloured in with promarkers and added my own embellishments. I have kept to the botanical theme for these two, but I think I will experiment more with other styles and stamps. These are beautiful, Brenda! You did a wonderful job with all of the different layers and elements. You really managed to capture this look! Thanks so much for sharing your link with me! Oh Brenda, these are lovely, its great to play isn't it? oooh gorgeous Brenda!!! you did a great job !! I dont likeeeee, I loveeeee, Such a beautiful card, love EVERYTHING about it. First time visiting your blog! I popped over from Kathy K's. I love Butterflies! Your projects are so lovely. 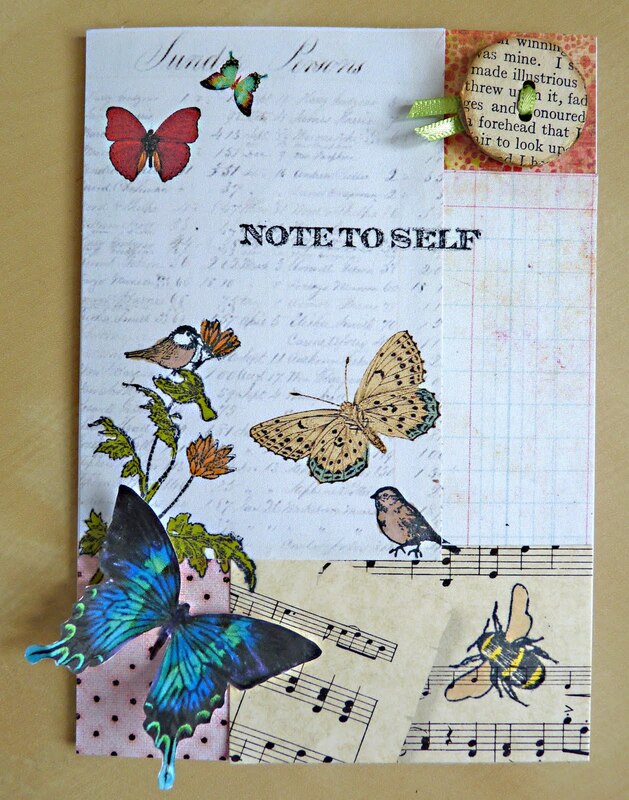 There is a great Challenge blog called Flutterby Wednesday where you have to make projects with butterflies on. I was interested to see you are in Education. I am a Teaching assistant and am on a temporary contract at a school that has been in special measures...challenging but really enjoying it! New Headteacher as from next week. Hope to visit you again soon. These are both lovely, and you liking them too means that you will experiment more and we can have more beautiful eye candy later on. Yay!